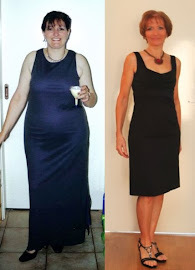 FitBody Fifty: Hello? Is there anybody in there? Yesterday was an interesting day. Well, at least it might have been interesting if you were a psychologist observing me. I can only describe the way I felt as more than a little bit stabby. Honestly, I wanted to kill someone. Just about anyone would have done. The uncontrolled feral kids at the supermarket, flinging themselves in front of my trolley (oh, do NOT tempt me! ); the bogan parents ignoring said rampaging offspring; the suicidal drivers attempting to pull out from side streets in front of me when I'm travelling at close to 80kph; the sales staff in the teen clothing chain shop who insist on having their utterly crap music turned up to MAKE-MY-HEAD-IMPLODE level; the checkout chick having an in-depth conversation with the customer in front of me about her last holiday when I'M FREAKING WAITING TO BE SERVED; or any member of my family who speaks at the wrong moment. Which would be pretty much any moment. Somehow though, I got the ironing done, the floors mopped, whipped up a batch of brownies and laboriously created social media buttons for my house blog sidebar. WTF? How is it that my brain can download, unzip, upload, copy file url, write html code and post it all in a widget that works, but I can't remember to buy f*cking DISHCLOTHS??? I may just stay in bed today. Well, even if I feel like crap, at least I've amused Magda. My work here is done.